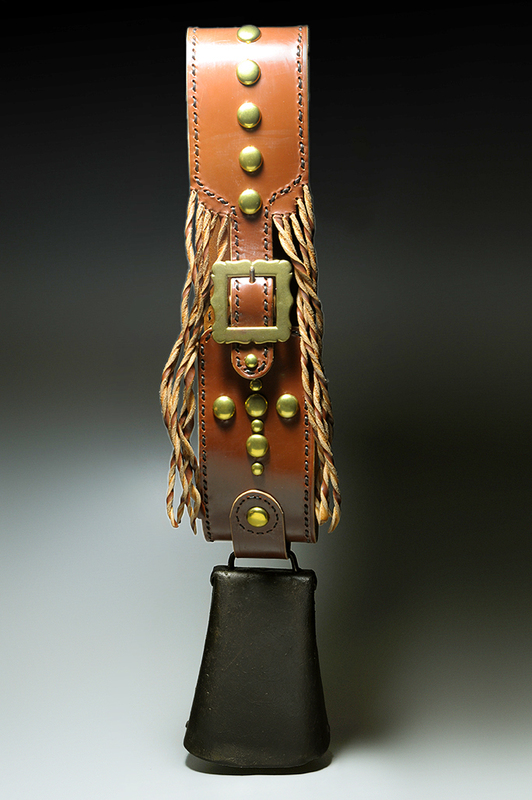 A self-taught artisan, Diane Louise Paul’s story is one of creative vision and resourcefulness. Her interest in making leather evolved from her love of horses and antiques. After getting her first horse at the age of 16, she taught herself how to repair old tack (accessories such as saddles, reins, straps) because she didn’t have the money to buy new gear. She learned by taking these items apart to see how they were made. Years later, when she worked at a race track, she started making chaps and other riders began asking her to make and repair their chaps, tacks, and other leather items. Diane would visit flea markets and antique shops to find old leather tools (the same 100+ year old tools she uses today). 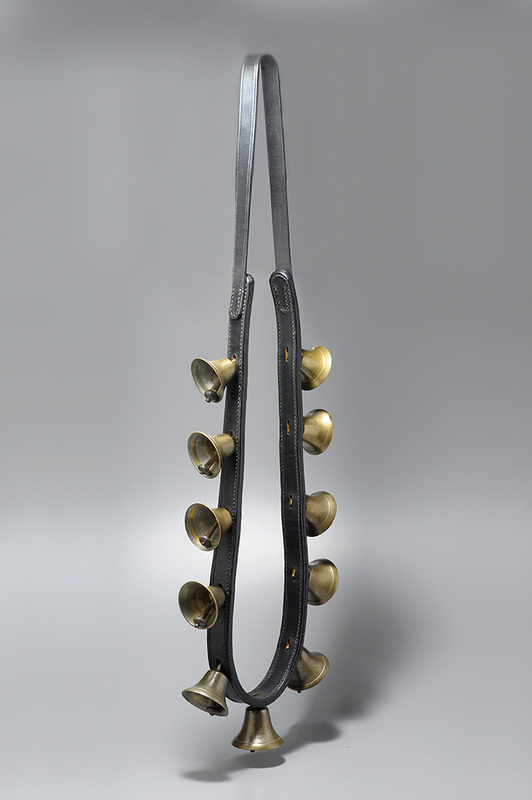 When the price of an antique sleigh bell set was too steep, she found a wholesale bell supplier and created her own. Soon, she began selling her leather work and bell sets at a local church bazaar. League of NH Craftsmen Board Member, Edith Grodin, admired the quality of her work and advised her to jury for League membership. Diane took her advice, applied, and her work was accepted on her first try. The League of NH Craftsmen has provided Diane with a broader market for her fine handmade craft, as well as her membership in New Hampshire Made and the Seacoast Growers Association. Upholding a Heritage of Quality Handcraft For 15 years in a row, Diane’s quality workmanship and heritage techniques have earned her a spot as one of the nation’s top craftsmen creating pre-Civil War, museum quality work, as judged by Early American Life magazine’s panel of experts. 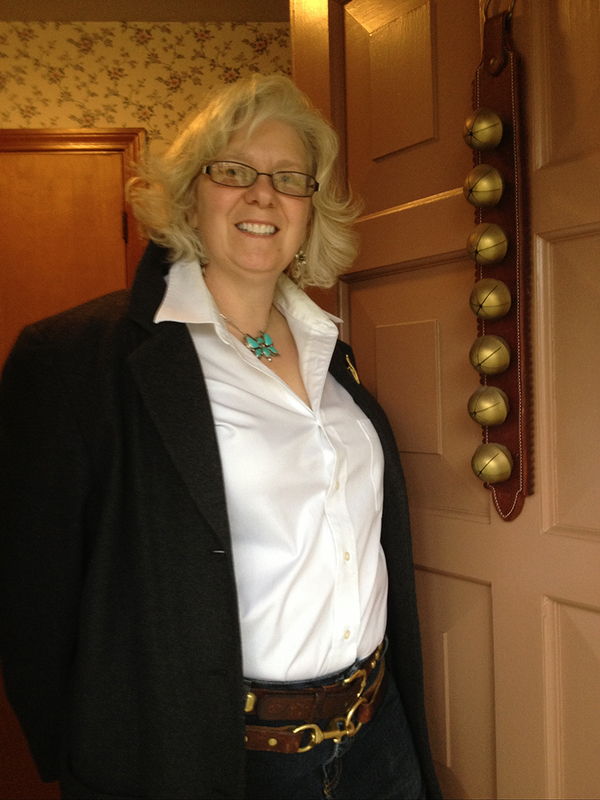 She has been featured on WMUR’s New Hampshire Chronicle, and in the 75th anniversary documentary about the League of New Hampshire Craftsmen, A League of Our Own. She is proud of her background and family heritage. A Mayflower descendant, she is a member of the National Society of the Daughters of the American Revolution and the National Society of the Daughters of Founders and Patriots of America.